http://www.genealogybuff.com/oh/oh-tuscarawas3.htm Ohio 28 March 1923 COUTS, CORA MAE (NEIGHBOR)- b. 21 April 1885 d. 23 March 1923; Husband- Ernest Couts; Parents- Mr. & Mrs. Milton Neighbor; Children- Charles (age17), Lillie (15), George (11), Paul (6) & Beatrice (4); Siblings- Mrs. Edna Mackey (Lakeland, Florida) & Mrs. Loretta Huffman (Newcomerstown). Below are the names of nearly 5,000 303rd BG(H) Comrades for whom we have no current information. We are looking for address information if they are living, or a death date if they are deceased. Please help us in our search. If you have ANY information about anyone on the list, please contact: missing@303rdbg.com. Please see our Lost Comrade Search Tips. Death of Mr. Poston Couts. Mr. Poston Couts, son of John Couts, Esq., of this city, died at 7:30 P.M., on the 9th inst., aged thirty-four years. Mr. Couts’s death is a source of grief to a large number of attached friends, whose warm esteem and affection had been conciliated by his admirable moral qualities and his genial and kindly manners. He was eminently a pure young man, exempt in a remarkable degree from the vises and dissipations which are so rarely escaped in early youth. During the last year of the war, while still a member of the Confederate Army, he joined the Methodist Church under the ministrations of the Rev. Wm. Burr; of this communion he has ever since been a consistent and exemplary member. He had long been a sufferer from the malady which ultimately caused his death, but bore his cross with such uncomplaining patience that few were aware of his existence. His funeral, on Sunday, was attended by a very large crowd of devoted friends, and the services were conducted with great solemnity by the Rev. R. K. Brown. Several ministers of the other denominations took part in the exercises. The Rev. Dr. Plummer read the Scripture lesson, the Rev. A. D. Sears, Baptist, led the congregation in prayer, and the Rev. J. W. Lupton, Presbyterian, gave out the hymn. The sermon of Mr. Brown was solemn and appropriate. He held up the life of the deceased as a refutation of the fallacy that every young man must pass through a period of dissipation and vice before he becomes a settled member of society; Poston Couts, he told us, sowed no wild oats and had none of their evil effects to struggle with in afterlife. Nowhere can youth seek a better example than in the life of Poston Couts. The deceased was a member of the order of the Knights of Pythias, and that body attended the funeral in their full regalia and performed their impressive funeral rites at the grave, adding much to the solemnity of the funeral ceremonies. Subject: re: Cave Johnson From: Kid4ever47 Since it's still a work-in-progress, probably best to wait till about Jan. Then I could send a file reflecting what will be in the book, for your use. I'll try to remember but you might want to remind me about then. In the meantime, you could extract a note from what I sent. I'll reply to specific inquiries. Subject: [KAUTZ] Kautz from Baden to Webster, W.Va. by a way of Philly From: <khreed@cinci.rr.com> To: <KAUTZ-L@rootsweb.com> This is a Message Board Post that is gatewayed to this mailing list. 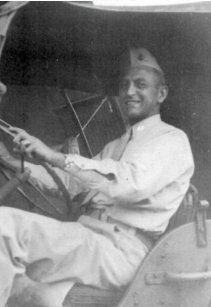 Message Board URL: http://boards.ancestry.com/mbexec/msg/rw/HOm.2ACIB/55 I am seeking information on Fred Kautz. Census records say he emigrated from Baden Germany in 1880. The 2010 Census has him married to Rebecca (2nd wife). He had six children, one of whom was Edward. Edward is my husband's grandfather. He died in Pendleton County, KY at the age of 43 of TB. DON COLLINS & Company Inc. GENERAL CONTRACTORS / REAL ESTATE BROKERS Don Collins & Company specializes in commercial construction. Since 1986, we have completed over 100 projects valued at over $9 million. Don Collins & Company, Inc. specializes in commercial construction incorporating pre-engineered metal buildings manufactured by Dean Steel Buildings, Inc. Mr. Collins has served as director of the Central Florida Builders' Exchange and is past president of the Rotary Club of Longwood. Mr. Collins graduated from Florida State University in 1969 and received his Master's degree from Florida International University in Real Estate in 1975. 1. Jeremiah Starkes. b. ca 1777, in SC He married Sally Williams. 2. Thomas Starkes, b ca 1780. He married Susan Baker. 3. John Starkes. b ca 1788, in Tenn. He married Kejiah Cannon. Subject: Captain Couts From: Kwj7881@aol.com I received this scant info today from a member of our R. I. Platoon. Sgt. Hedin was our Top Sergeant who died a number of years ago. "My last correspondence with Sgt. Barbara Evans <bevans@coutsfamily.com> wrote: Actually, you're the first to inquire about this line. I can't find any proof that Mary Couts was really Mary Couts and not Mary Coats (large family in the area.) I will however add your query to the next newsletter and maybe it will be picked up by another searcher. Good luck, Barb To: bevans@coutsfamily.com From: jr.cantrell@att.net A COUTS Connection I am trying to gather information on some distant relatives (Date of Death, where he died, where he is buried, interesting stories, etc.). The relatives are Nicholas Houston Choate (DOB 1831) (DOD ? - Texas - McLennan County - Waco) and John Bird and Nancy Couts. Nicholas or Nichalas was the son of Powhattan (12/1807) and Winney Halley Choate (DOB 2/1806). Nicholas married Nancy Paralee Bird (DOB 1837) daughter of John and Nancy Couts Bird. I know that Nicholas and Nancy lived in Dade County, until he had trouble with the law and he skipped out for Texas. I have copies of legal papers regarding some of his problems in Missouri (Court Papers). Nancy Bird is buried in Dade County, Missouri (Kingspoint). I am a descendant of (1) John H. Simpson (DOB 1/1852) and Almeda Choate (DOB 7/1855) (Dade County, Missouri) who was the daughter of Nancy and Nicholas Choate, (2) Francis Elizabeth Simpson Cantrell (DOB11/1874) daughter of John and Almeda Simpson and William Elonzo Cantrell (DOB 1869), (Dade County, Missouri) married in Manitau Springs, Colorado (3) Leroy Roscoe Cantrell, son of Francis and William E. Cantrell (7/1896) and Margaret Elizabeth Molnar Cantrell. My father is Leroy Cantrel and my name is James Cantrell, and I live in North Texas. Any information will be appreciated. Let me know. Subject: relative From: Carol Do you know Leonard Earl Couts? He is my father. He has a brother Roy Couts. I would like to find out about their mother and father. My name is Carol please write me back. My Email is old curly@tulsaconnect.com. James Wright (son of John and Margaret Wright) was born 1796 in Tennessee. He removed with his parents to Clinton County, Ohio, in 1805. He married Abigail STARBUCK by Friends ceremony in Centre Meeting in 1817, and settled west of Winchester [IN] the following year. He is supposedly buried in Randolph County, [IN]. Has a brother Jacob. Where do your Evans' hail from? [Wales, South Carolina, North Carolina, Illinois, Texas] I have Evans on my mother’s side. Haven't been working on them, but will be in the future. I'm from Indiana, and I know that some of them came through Ohio, but don't know from where before that. My sister is actually working on that part of the family tree: Pickering/Evans/Gauntt/Sands. Subject: Couch/Couts/Kentz Family From: Sue Hudson My name is Sue Owens Hudson. For several years I have been trying to locate the parents of my GGGGrandfather Green B. Couch (as it is spelled in Lawrence Co., AL.) I do realize there are several different spelling to a surname depending on how the census taker was feeling that day or something. Green was born c. 1812 in TN. He first married Elizabeth Livingston and second married Rebecca McCluskey both of Lawrence Co., AL. His daug. Martha A. Couch first married Harrison Cooper in c. 1861 in Lawrence Co., AL. Harrison died in the Civil War. Martha second married John E. Owens in c. 1865 in Lawrence Co., AL. Martha and John E. Owens are the parents of my GGrandfather Rueben Greenberry Owens. All of these folks lived in Lawrence Co., AL. I would love to share info with anyone that could help me. Some folks believe that he is a son of Casper Kentz. And I have found that he had two unknown given name sons, just have not been able to find them. Gerald Couts Grandfather of Pam Couts Drake – Pam shared her grandfather with us one Christmas time about ten years ago, when he needed support and encouragement through an illness. He was a joy to visit with and share. Obituary: Visitation , Wednesday February 16, 2005, 4:00 PM until 8:00 PM, Robertson County Funeral Home, Springfield Tennessee. Sevices: February 17, 2005 at 2:00 P.M.
Love your newsletter! My connection is through Anna Elizabeth Hedderich's first husband Johannes Ermentraudt (my 5th great-granduncle). Thank you. Mason County, Texas 1860 census lists Monrow and Martha Couts as residents. You may know this but if not maybe it will be a missing link. Researching Family-Mary E Johnson, Cave Johnson’s daughter married Joseph P Bumstead, my third great uncle, son of Mourad Whitfield Bumstead and Jane Cravey in Texas. The 7th Generation of Coutses in the U. S.
By Janice L. Couts and Wilford H. Couts, Jr, first cousins of Downey Lawrence Couts. This continues a sequence of the Couts family tree that immigrated to the U.S. and eventually settled in Western Tennessee. This branch moved to Bowling Green KY about the time of the Revolutionary War and then up into Southern IN during the War of 1812. Some descendants still reside there. In reference (1), we described the life of James Monroe Couts and Mary Elizabeth (Connor) Couts. They were married on 31Jan1886. They eventually had nine children, all of whom lived to adulthood. Their oldest child was a son, James Aaron Couts, born 27May1887. James Aaron grew up and attended school, we think, at school #7 about a mile and a half north and a little east of Spurgeon. It was about a mile and a half south of the family home (later called Enosville). He completed grade school but no further. He married Flora Bessie Beatty on 11May1907 at Oakland City, IN. Aaron Lee Couts “ 5May1927. The subject of this article is the third child. He never liked the name Downey and always used Lawrence and we shall use his friend’s name Larry. At Larry’s birth, the family lived in Simtown just north about 1 ½ miles of the James M. Couts homestead. We think he was working for an oil company out of Winslow, IN, maintaining the pumps, etc. He told his children about using a boat to get to the pump platforms when the river bottoms flooded in the spring. James A. later became a driller at a strip mine for coal but we aren’t sure when the transition occurred. By the time Larry was six, a new two room school had been built at Simtown and the older school #7 had been closed. Reference (2) includes a description of the Simtown school. So Larry went to Simtown but only for 3 or 4 school years (probably 1920 – 1923-24(?). Friction between father and son is believed to be the reason Larry quit school and went to work for a local farmer Lilburn Worth (Wirth?) for about 2-3 years. During one of his infrequent visits in later years to Oakland City, Larry took his own children to visit Mr. Worth and they seemed to have a high regard for each other. About 1927, Larry left the farm and went to Chicago to seek a job as a truck driver. He was only 13 or 14 at the most. Some stranger asked if he could drive a big truck. He had never driven anything bigger than a pick-up but he said that he could. The job was to drive to Kentucky and pick up moonshine at 2-3 stills. He would return to Chicago and park at a certain restaurant. While he was eating, the truck would be gone and then would return and his pay ($200 in cash) would be in an envelope. Much of the driving was on dirt roads. On his first trip he had to drive in low gear all the way to the Chicago suburbs where he could pull off and figure out how the gearshift worked. He repeated several trips but finally decided it was too risky and quit. He never knew who he was working for but it was probably the Capone mob. But he had learned to drive a large truck. His next job for several years was driving semi’s for Interstate Trucking all over the Midwest. He was quite athletic all his life. He competed in Golden Gloves in Chicago and was champion in his weight class for two years. Larry moved to Denver about 1936-37. The motive is not known. His oldest sister Ruth had married Aubrey Yarber in 1927 and they were living in Denver for a while ( later moved to Salt Lake City). He lived with the Yarber’s while he looked for work. On 5Nov1938, a huge change occurred in Larry’s life. He married Miriam Virginia Anderson . Her preference was to be called Marion. Her parents had emigrated from Sweden and she was born in Leadville, CO. They were married in the Yarber home. Judith Lee Couts “ 24 Oct1948. In 1942, Larry took a job with Remington Arms. This was located in what is now the Federal Center. The Couts’ family lived nearby on Kendall St. in Edgewater. Paul can remember watching testing of machine guns firing tracers at night. But Remington consolidated facilities back East and Larry had three alternatives. These were (1) to move to Connecticut, (2) get drafted, or (3) take a civil service job at the Naval Supply Depot in Clearfield, UT. Larry moved to UT and left the family with Marion’s sister in north Denver. After approximately eight months, Larry found a home in Roy UT (just SW of Ogden) and the family lived there for the rest of WW II. Larry was foreman of a large crew on a loading dock. An engine was necessary to switch the box cars and frequently was unavailable. A huge truck had been left in the area but no one knew how to drive it. Larry climbed in, figured out the controls, and did all the railroad switching thereafter. All defense work stopped in August l945 and the family returned to Denver. They lived at 29th & Speer in a two room apartment with icebox and shared bath. Larry obtained a job with Pepsi-Cola mixing syrup and paying 60-70 cents per hour. Sometime in 1946, they moved to Marshall St. in Arvada very near Clear Creek. At this time the area was predominantly Italian-descent market gardeners. Larry and a fellow employee of Pepsi started a side business building cabinets for kitchens. The business prospered and Larry considered quitting Pepsi but the wife of the partner took all of the money and left and the side-line collapsed. In 1947, Larry took a job with the Denver Water Board for whom he would work until age 65. The job was at the Waterton Canyon filtration plant about 15 miles southwest of downtown Denver where the South Platte River emerged from the Front Range. The job paid $1 per hour and a house was furnished at $8 per month and the occupant bought their own coal and telephone. It was a three bedroom frame house with a big garden . Waterton Canyon area now is filling with houses but then was isolated. The Water Board had an elementary school (1-8) and high schoolers were bussed to Bear Creek School at Hamlin & Kipling. Paul’s grade school graduation class had 8 boys and 1 girl. Larry started as a Laborer. He later was Blacksmith and then Carpenter and eventually Head of Maintenance. But he found that his lack of education closed the door to any further advancement. The filter plant worked as follows. A perforated tile was on the bottom, coarse rock on top, then charcoal, and finally a 15-18 inch layer of sand on top. When a bed clogged with sediment, the laborers used wheelbarrows and shovels to clear off the top layer of sand. Then they replaced it with washed sand. It was an endless cycle. Black-smithing must have been far more interesting. The Water Board forbade pets but the children remember a six foot long bullsnake that lived in the blacksmith shop and was their only pet. The blacksmith shop and several other buildings still exist and the Water Board may create a museum. As mentioned, Larry was very athletic and he could turn cartwheels and walk both upstairs and downstairs on his hands up until close to 60 years of age. He hunted and fished. He was a self-taught fly fisherman. The Water Boad forbade employee fishing and the penalty was 30 days without pay. But Larry occasionally fished anyway. He once caught a 42 inch long brown trout but couldn’t brag outside the family. Vacation was always the first two weeks in July and they always went to Fraser CO. His brother-in-law was a builder and Larry would help until 2 pm every day and then go fishing until dark. Fraser is still a renowned fly-fishing area. Larry and Marion had a 1936 Chevy when they moved to Waterton Canyon. They bought a 1940 Chevy and in the 50’s switched to Plymouths for the rest of his life. Larry retired at age 65 in 1979. As retirement approached, they bought a home in Englewood and moved there in 1968. Sadly, he was ill essentially all eleven months of his retirement. He was always a heavy smoker and the chlorine exposure at the treatment plant might also have been a problem. He died of cancer on 22Aug 1980 and is buried at Chapel Hill Cemetery near Arapahoe Rd. and University Blvd. Marion continued living at 200 W. Stanford Ave in Englewood until her death on 24Dec2001 at age eighty-five. Uncommon in our times, all of their descendants still reside in Colorado. In summary, Larry could do anything. He was very independent and very athletic. He had the ability to succeed in every opportunity that was open to him. World War II created great disruption in this family as it did throughout the world but no extreme loss. Having survived the Great Depression, he sought security for his family and achieved his goal. He insisted that his children must finish high school and they did. Colorado was ideal for him because he loved the outdoors. He must have been happy with his choices in life. (1) James Monroe Couts, California Couts Cousins, vol.2, no.4, May-July 1998. (2) George Henry Couts, the 6th Generation, California Couts Cousins, vol. 9, no. 1, Nov 03-Jan04. Larry and Marion’s oldest son, Paul, who still resides in Englewood, CO, was the source of most of the information contained in this story. The authors however bear responsibility for converting the oral history to print.